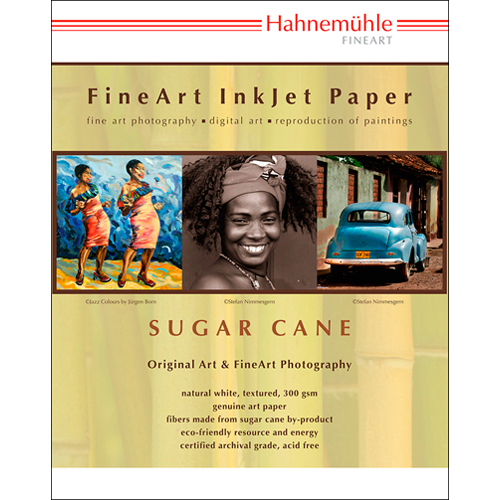 Hahnemühle Sugar Cane combines the high standards of a fine art inkjet paper with responsible use of raw materials. A “bagasse” pulp is used that is a by-product of raw sugar production. The cotton portion is made from recycling our own paper waste. Displaying the fine texture of a pastel paper Sugar Cane lends every image an artistic look and feel.